“The unification of Yemen is the only positive event in modern Arab history,” the late Muammar al-Gaddafi apparently once remarked. Two and a half decades after the merger of the former Yemen Arab Republic (YAR) and People’s Democratic Republic of Yemen (PDRY), (“north” and “south” Yemen, respectively), the Colonel’s words arguably come off as a tragic joke. ” يا وحدة الشعب حلم السنين (Oh, the unity of the people, dream of the years),” reads a line from a famous Yemeni poem that was adapted into one of my favorite Yemeni songs. In 1990, the fulfillment of this collective longing for the unification of greater Yemen fueled a collective burst of celebration across the newly formed country. In light of the events that followed, its rather depressing to think back to the unfulfilled hopes of that particular moment in the recent past. This time last year, success for newly inaugurated president Abdo Rabbu Mansour Hadi was roughly defined as mere survival. Few knew much about the man many mocked as “عبدربه مركوز.” He’d stood silently by Ali Abdullah Saleh as his Vice President for well over a decade, but it was easy for skeptics to joke that his accomplishments were largely limited to presiding over ribbon-cutting ceremonies as Saleh’s stand in. 12 months later, Hadi’s been able to hold his own, proving many pessimists wrong. Still, true leadership requires more than just (barely) holding Yemen together. Giving a positive review of Hadi’s first spate of reforms last Spring, one Yemeni political analyst added a key caveat, stressing that the president “has yet to prove that he’s the state builder that Yemen so desperately needs.” His words, arguably, are just as true today. Over the past few days, the village of Jaleela, in the southern province of al-Dhale, has been the scene of a fierce violence. The facts are muddled, owing to Jaleela’s general isolation and the (unsurprisingly) differing narratives of those involved. But the basic chain of events appears more or less uncontested. A convoy of troops from the Republican Guard was met with some form of resistance from locals as it traveled through the area. Things soon escalated. Subsequent clashes proved deadly, leaving at least three–including a child–dead, and raising accusations that the military used excessive force. Its unfortunate for a number of reasons, but sporadic violence in rural areas of Yemen often risks fading into a blur. Regardless, here–or anywhere, for that matter– clashes are almost never just “clashes;” regardless of catalyst, events cannot be divorced from the environment in which they occur. 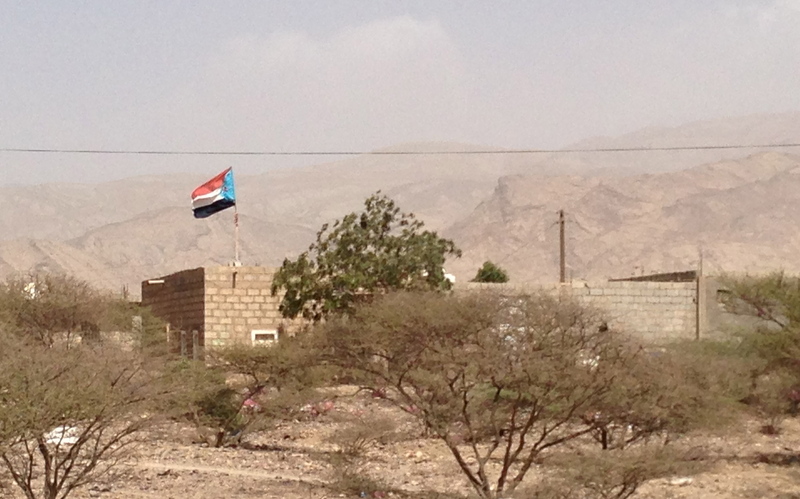 And while recent events in al-Dhale may seem minor in the grand scheme of things, the violence touches on issues that reverberate far beyond the south Yemeni countryside. Sitting in a posh Beirut apartment complex, it was surprisingly easy to forget I was meeting with a man who is ultimately a historical figure. Up until July of 1994, of course, Ali Salem al-Beidh was in the center of it all–from unification and its aftermath to the almost incomparably bloody 1986 Civil War. As he sat across from me in the flesh, Ali Salem seemed almost separate from “Ali Salem:” the ability to maintain an astoundingly low key face to face presence, I’ve noticed, is a skill many Yemeni politicians seem to share.